Coach Springer presents these scoring drills used by NBA All-Star, Rookie of the Year, and MVP Derrick Rose. Diagram A. Defenses collapse quickly on Derrick's drive because of his ability to score in the paint. Because of this he has become great at using runners along the lane line. 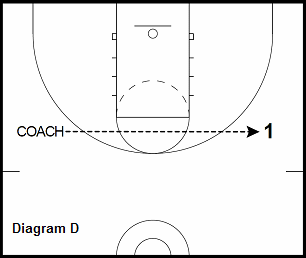 Drill: Player attacks cones with any of Derrick Rose's moves and finishes with runner along lane line. 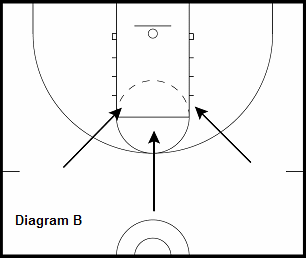 Make 30 on both sides of basket. Diagram B. 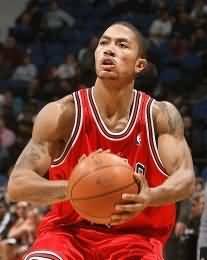 D Rose likes to attack in the tunnel and from the elbow angle. Once he has the isolation he will use multiple moves to go by defender. Diagram C. Rose might start at one elbow but then dribble to the other elbow to start his isolation attack. He uses the same moves as above from the isolation attacks. Diagram D. Rose will get the ball a lot from skip passes. He then looks to shoot the 3 or rip into a one dribble jump shot. 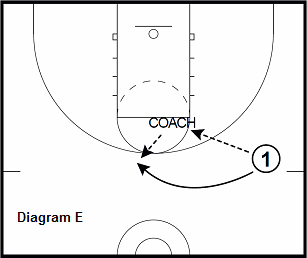 Drill: Coach sends skip pass across court. 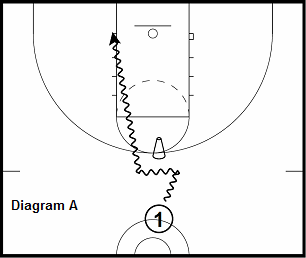 Player must make (12) 3's and 12 rip and go jump shots on both sides of the court. Diagram E. Derrick Rose passes to high post and relocates for a catch and shoot or one dribble jump shot. Drill: Player passes to coach and moves through process of the pitch. Make 15 catch and shoots and 15 one dribble jump shots on both sides of the court. 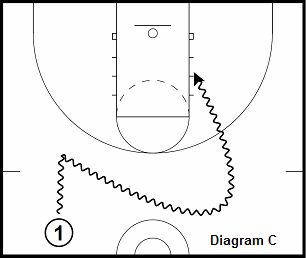 Diagram F. The sideline inbound starts with a down-screen to get Derrick Rose open. After the catch, Rose goes right into a pick and roll. 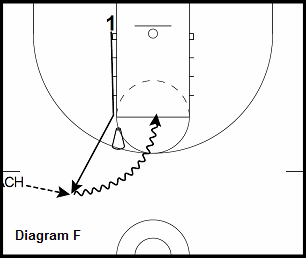 Drill: Flash to catch starting at block. Go right into pick and roll. Make 20 jump shots at the nail on both sides of the court. 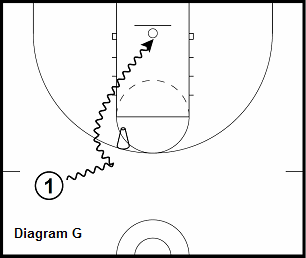 Diagram G. Because of his speed, defenders have to sometimes commit before it happens. This happens a lot while running pick and roll. Because of this Rose has become great at setting up defenders on the screen and then turning it down. Drill: Use the different set up moves and shoot 20 jump shots on each side.